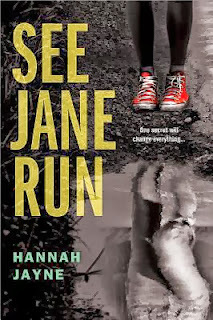 For sixteen-year-old Riley, one question will change everything: Who is Jane O'Callahan? Riley Spencer never thought twice about keeping secrets from her parents-not big ones, at least. They didn't need to know that her math tutor was also her boyfriend and that cocktail dress she "borrowed" from her mom would be back before she missed it. But when she finds a birth certificate with the name Jane O'Callahan wedged inside her baby book, Riley must face the reality that her parents are the ones who might be lying to her. Adoption? Switched at birth? Kidnapping? I want to know! This whole birth dilemma/mystery has always intrigued me. Not a total fan of the theme of lying (why can't she tell her parents she has a boyfriend? ), but I'm interested nonetheless. Ooh this sounds really good, I really want to know what the story is. Great choice, I'll definitely be looking out for this. I'll have to read it, hopefully this one will be just as good too! Ooh, this sounds really intriguing! I'm definitely excited about this now because I want to know what's going to happen! I like a good mystery book. Sorry I'm a day late. I have been on call at work this week. I have not heard of this one but, it sounds good! I hope you get it soon! Psh, busyness happens to us all :) Thanks! I'm hoping it really is awesome! I'm excited for this one too and I'm already desperate to know the answer to the mystery. I hope you get to read and enjoy it soon! Ooh this does sound cool! Looking forward to hearing what you think of it. Thanks for putting it on my radar. The cover of this book makes it sound really creepy, but I love the mystery aspect of it. I agree, my mind is already spinning about where this story goes! Thanks for bringing this book to my attention.